When Metallica lead guitarist Kirk “The Ripper” Hammett was 5 years old, he sprained his arm, and to calm him down, his parents plopped him down in front of the TV. You’d think something like a marathon of Bugs Bunny cartoons would have been the perfect distraction. 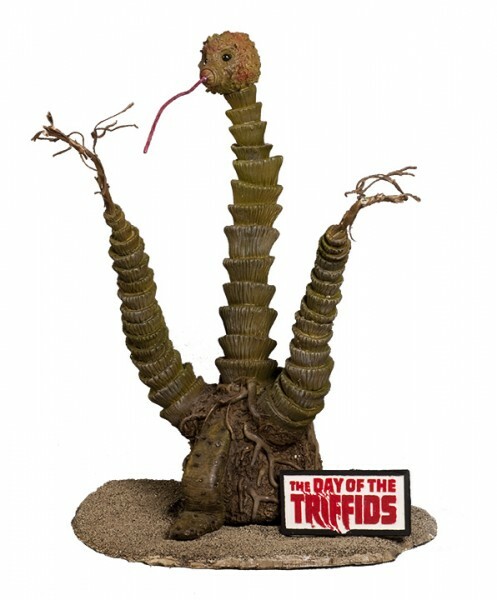 But young Hammett only forgot about his aching arm when the movie “The Day of the Triffids” came on the screen—with its oversize carnivorous space plants terrorizing humans—and he discovered the thrill of being scared. Although Hammett, who’s now 52 years old, also fell in love with music as a teen, it never diminished his obsession with horror films. When Metallica started to bring in some cash in the mid-1980s, he started collecting the monster magazines, masks, comic books, and toys of his childhood in a more serious way. 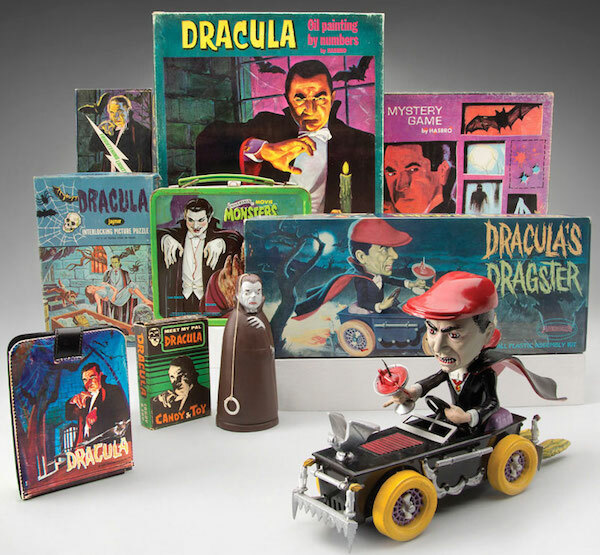 Before long, Hammett became one of the top collectors in the horror-memorabilia field, buying some of the rarest horror-movie posters and props known to exist. Recently, he’s started sharing his collection with the world in hopes of connecting with other like-minded horror lovers. 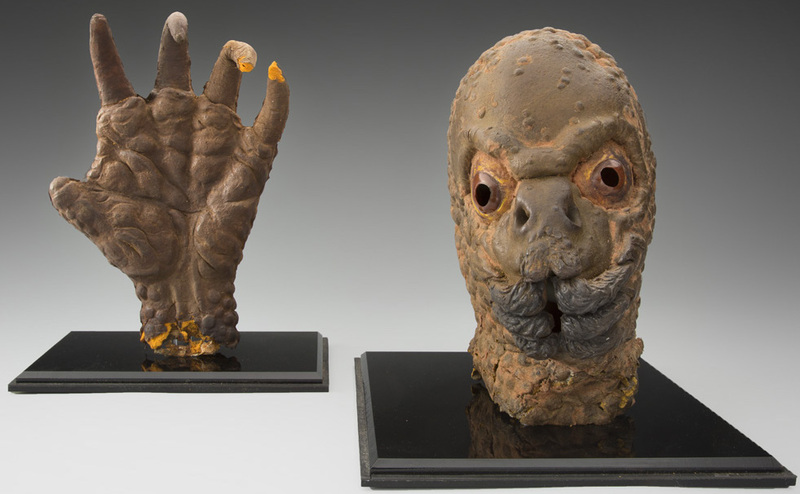 In 2012, he published a book on his collection called Too Much Horror Business, and the following year, he created “Kirk’s Crypt” to display some of his horror memorabilia at Metallica’s second Orion Music + More festival in Detroit. Kirk’s Crypt inspired him to launch a full-on three-day horror convention, Kirk Von Hammett’s Fear FestEvil, in his hometown of San Francisco in 2014. 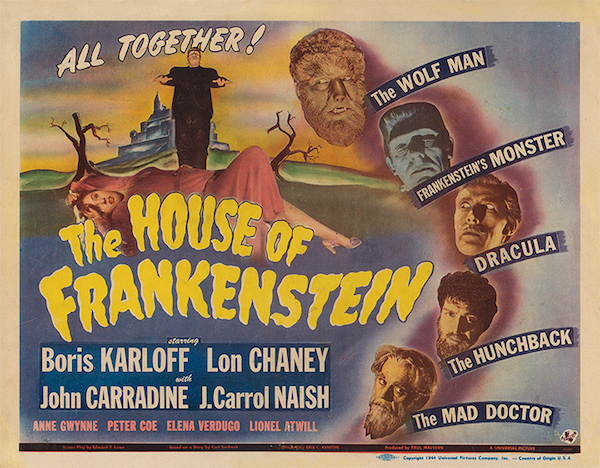 The annual event has featured interactive displays, including one on Hammett’s monster collection; performances by metal bands like Carcass, Death Angel, and Hammett’s pre-Metallica band Exodus; and guest appearances by modern horror actors, directors, and makeup artists, as well as the children of classic horror stars Boris Karloff and Bela Lugosi. 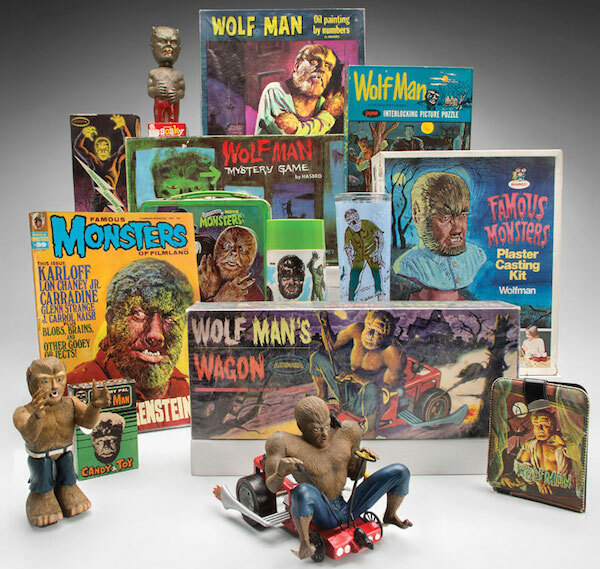 Currently, travelers going through San Francisco on Virgin or American Airlines can view part of Hammett’s horror collection at the San Francisco International Airport Museum’s “Classic Monsters: The Kirk Hammett Collection” exhibition in Terminal 2. Hammett grew up in the Mission District during San Francisco’s psychedelic ’60s era—a dangerous neighborhood in a tumultuous cultural landscape. In the introduction to Too Much Horror Business, he explains that horror movies took him to another world, a spooky dreamscape that soothed him. Hammett identified as an outcast and feared he might turn into that skinny kid in the Charles Atlas ads getting sand kicked in his face. 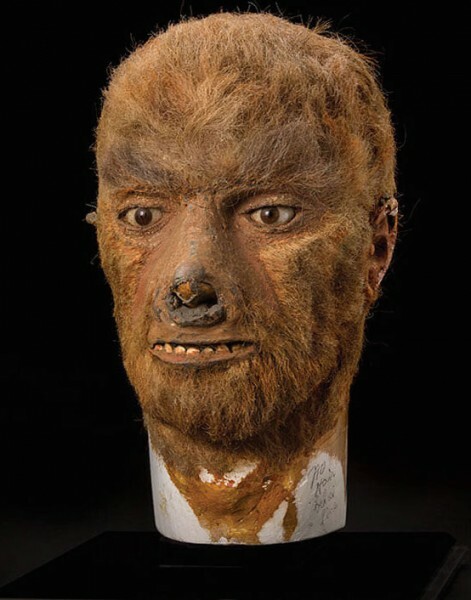 In the book, he tells music journalist and co-author Steffan Chirazi, he felt particular sympathy for Frankenstein’s monster, a misunderstood misfit who wanted to connect to his dad, because Hammett’s relationship to his own father was “not strong.” When he donned a cousin’s Wolf Man mask, he felt a jolt of power, the ability to take control of his life and retaliate against bullies. 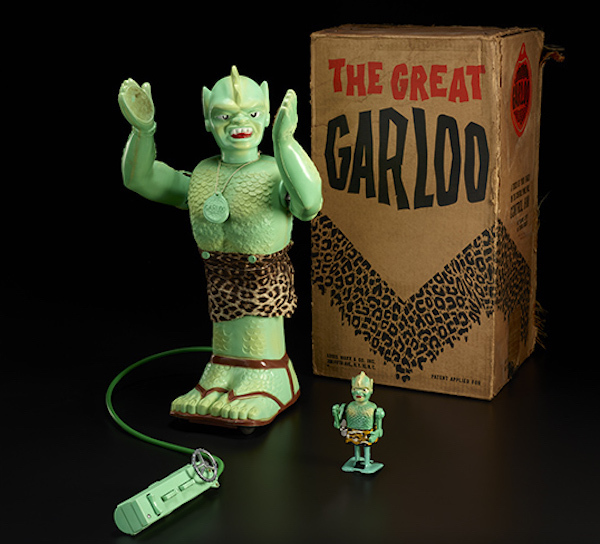 In the aftermath of World War II and the early days of the Cold War, films about oversize radioactive mutants and evil aliens and space robots expressed Americans’ paranoia about nuclear technology and space exploration. 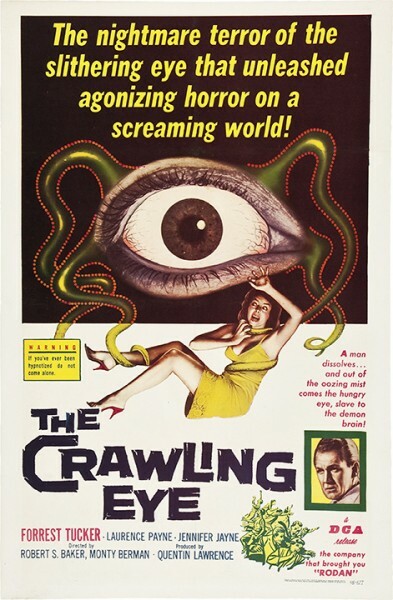 As televisions became more ubiquitous, movie houses employed every promotional gimmick they could think of to draw teenagers out to see B horror films like 1959’s “The Tingler.” Meanwhile, the 1954 book “Seduction of the Innocent” led to a panic, and even a congressional hearing, over the belief that gory comics like “Tales From the Crypt” were corrupting youth, turning them into juvenile delinquents. In the face of the publishing industry’s new self-imposed Comics Code, EC Comics abandoned its horror titles in 1955. 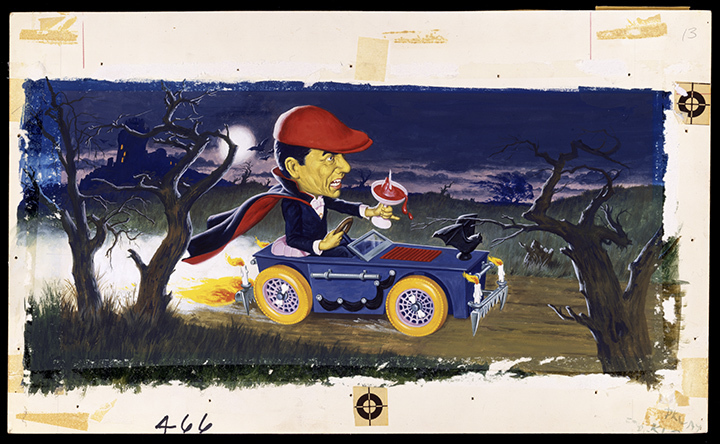 In 1957, Universal Studios—just a few years away from ending its horror franchise—figured out how to shore up its monster legacy: syndicating its spookiest movies to television stations as a “Shock Theater” package. Stations would hire campy costumed hosts, inspired by Vampira at L.A.’s KABC-TV, to introduce the films. 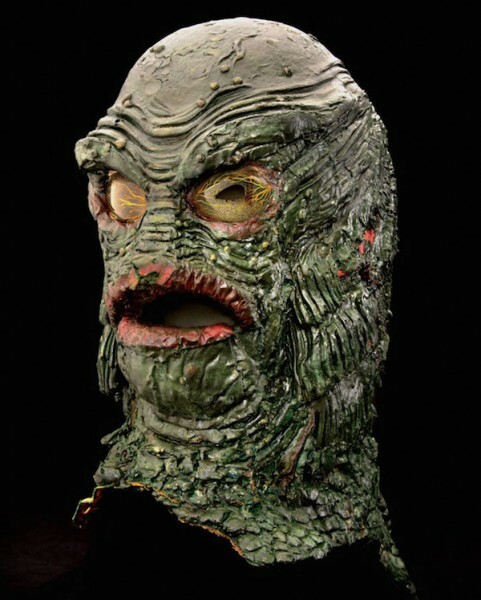 In the 1960s, these programs, usually shown after 8 p.m. on Friday or Saturday night, became known as “Creature Features.” Magazines like “Famous Monsters of Filmland,” which debuted in 1958, only amplified the popularity of this phenomenon. 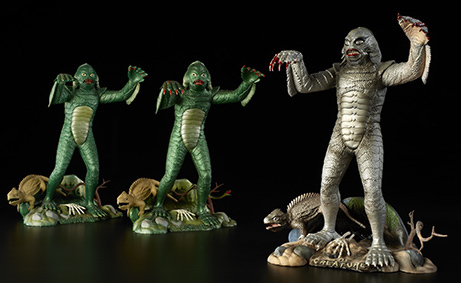 By then, classic Universal monsters films from the 1930s to 1950s were no longer seen as frightening or disturbing to adults but spooky, campy fun for children, like treat-or-treating on Halloween. 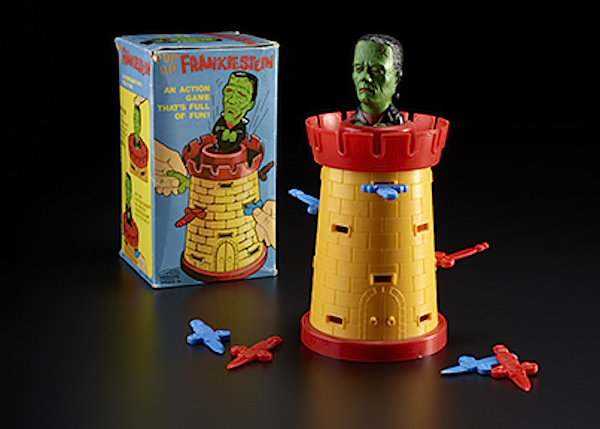 In 1961, Aurora Plastics Corporation produced its first paint-it-yourself monster model kit, based on “Frankenstein,” which was so popular with kids that the company had to manufacture them 24 hours a day to meet the demand. 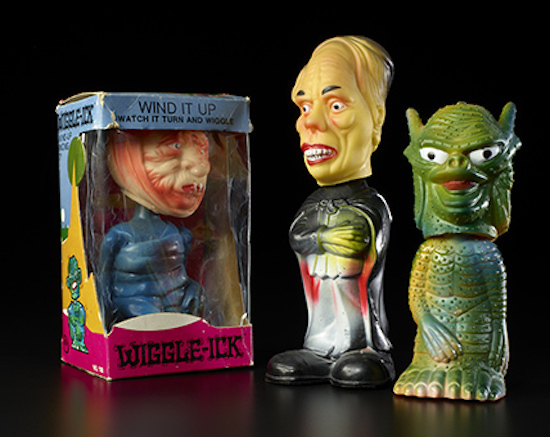 In 1962, musician and actor Bobby Pickett hit the top of the Billboard chart with his perky novelty tune, “Monster Mash.” Soon, toy shelves at stores were filled with monsters in every form imaginable—soaps, bobbleheads, board games, puzzles, target sets, remote-control figures, chemistry sets, Pez dispensers, and a wide range of craft kits. 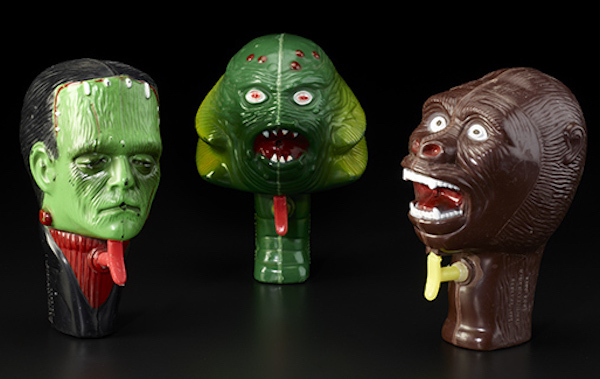 Monster-mania was rampant in the late 1960s, and it possessed 6-year-old Hammett. Walking to Catholic school in the Mission, as he recounts in Too Much Horror Business, he imagined that the people he encountered were monsters or mad scientists. Every day, Hammett’s parents gave him 25 cents to buy milk and a doughnut. 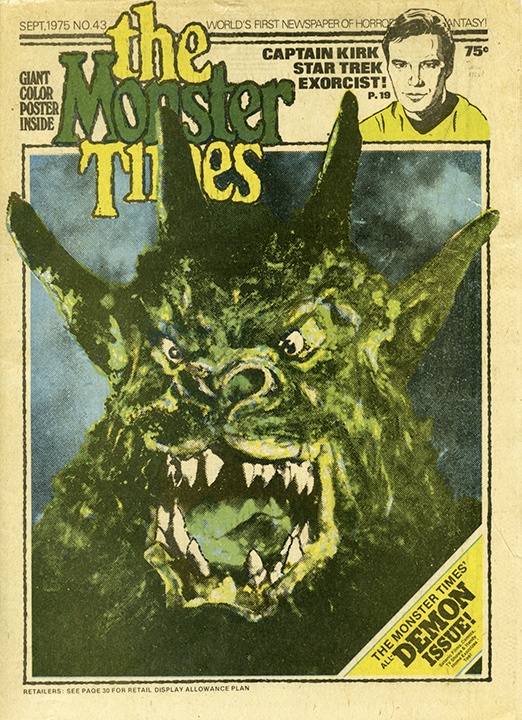 Instead, he pocketed the quarter, and after school, he’d buy monster magazines, like “Creepy” and “Eerie”—which were really horror comics repackaged as “magazines” as a way around the Comics Code—and movie-focused publications like “Famous Monsters of Filmland” and “The Monster Times.” Called “the monster kid,” he’d read these comics in class instead of doing his schoolwork. Hammett also religiously watched the Saturday Creature Feature on TV. On weekends, when his parents hosted drug-addled hippies who drank and acted strange, Hammett explains in the book, he would escape to triple-feature matinees at the Grand Theatre on 23rd and Mission streets. After school, he’d linger at San Francisco Comic Book Company on 23rd Street, which, when it opened in 1968, was the first store in the United States devoted exclusively to comic books. At home, Hammett played monsters with friends and cousins. 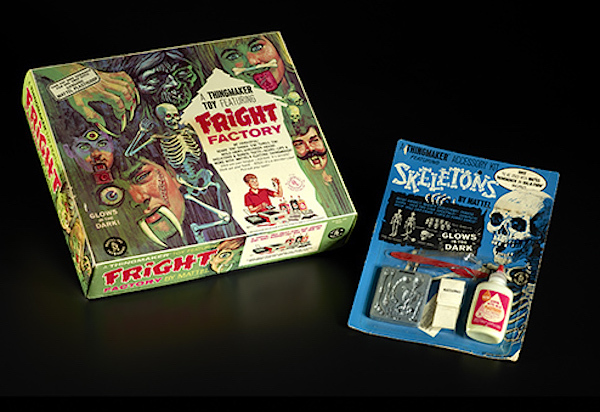 His favorite toys were Aurora monster models, and he was buying them when the glow-in-the-dark Frightening Lightning series was out. 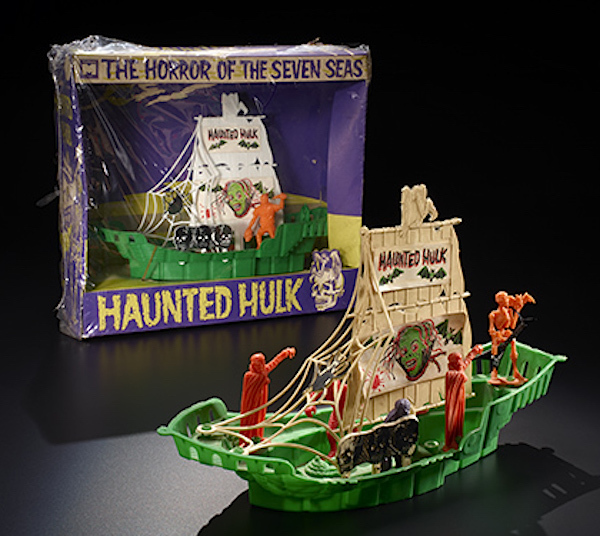 In the book, Hammett says his first model was Frankenstein’s monster, which he tried to paint as true to the movie as possible. As he accumulated more and more models, he’d go to bed early some nights, just so he could stare at his glowing creature collection. But as much as he loved his monster models, he also loved destroying them. In his early teens, Hammett turned his obsessive attention to collecting records by the likes of Led Zeppelin, Pink Floyd, Thin Lizzy, Cream, ZZ Top, Lynyrd Skynyrd, Santana, and Black Sabbath. One summer, he saw a documentary on Jimi Hendrix at the local cinema, and it changed his life forever. A month before his 15th birthday, he bought his first guitar, and at age 16 in 1979, he formed Exodus, one of the most influential bands in the Bay Area’s burgeoning thrash-metal movement. When Metallica fired its lead guitarist Dave Mustaine (who went on to form Megadeth) in 1983, the other members recruited 20-year-old Hammett to join the band as it prepared to record its debut record, “Kill ’Em All.” In the book, Hammett says he particularly bonded with late Metallica bassist Cliff Burton, who loved horror films and Victorian horror writer H.P. Lovecraft as much as he did, and the whole band went to see “The Evil Dead” at a drive-in movie while working on the album. After Metallica’s “Ride the Lightning” came out in July 1984 on Megaforce, the band members started to receive bimonthly salary checks for their album sales—albeit a meager amount. Many of Metallica’s album titles—“Kill ’Em All,” “Master of Puppets,” etc.—sound like great horror movies themselves. The 1989 music video for the band’s song “One,” from the acclaimed album “… And Justice for All,” was a remix of the 1971 anti-war film, “Johnny Got His Gun.” In it, an American soldier serving in World War I is hit with artillery shell that severs his arms and legs, and destroys his eyes, ears, mouth, and nose. The harrowing, syncopated lyrics relate to the footage: “Darkness imprisoning me / All that I see / Absolute horror / I cannot live / I cannot die / Trapped in myself / Body my holding cell.” Two years later, Metallica unleashed the “Enter Sandman” single, a song about a child’s nightmares. Based on a haunting guitar riff written by Hammett, it became a Top 20 hit and received endless accolades. 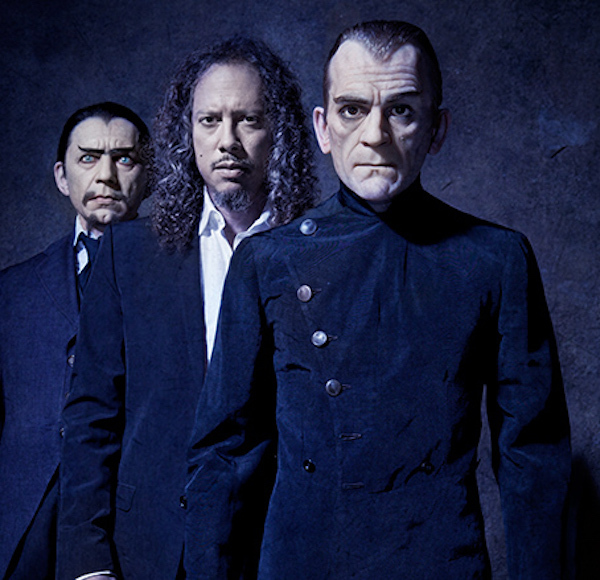 Clearly, Hammett’s love of horror and music are deeply intertwined. It might have something to do with the fact these musicians were raised on B horror films at the cinema, Creature Features on TV, and monster mania at the toy store. But it’s also likely a backlash to the sunny, gentle “peace, love, and music” ethos of 1960s hippie culture. 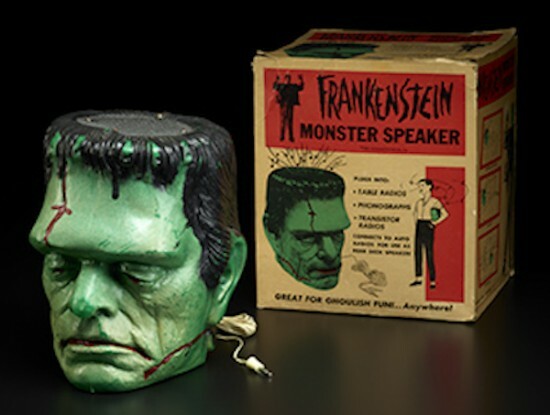 Hammett is such a horror fanatic, he now has some the most far-out monster toys from the 1960s and ’70s, including a speaker shaped like Frankenstein’s head and lots of toys he couldn’t afford as a kid. 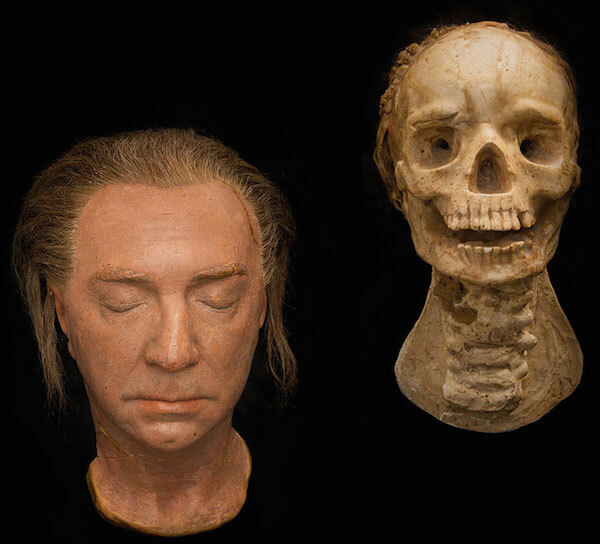 He also owns life-size figures of Bela Lugosi and Boris Karloff wearing original costumes from horror films and original props from monster-movie sets, including prop heads and hands—the most fascinating being two heads from “The Return of the Vampire,” showing the bloodsucker Armand Tesla in the process of being destroyed by the sun. 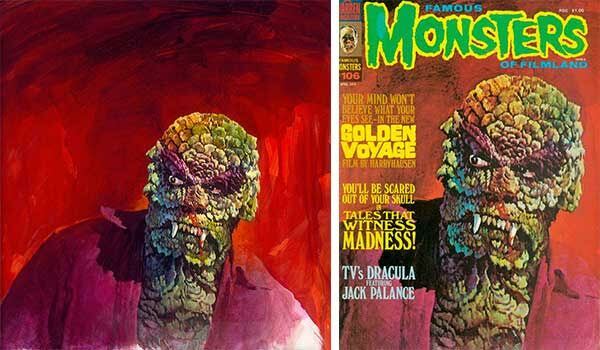 On his walls, Hammett has several pieces of original art, including Basil Gogos paintings created to illustrate the covers of “Famous Monsters” magazine and fun, campy James Bama paintings done for the packaging of Aurora’s monster hot-rod models. But the most cutthroat field he deals in is the world of movie posters. Original movie half-sheets, one-sheets, two-sheets, three-sheets, six-sheets, inserts, window cards, and lobby cards from the 1920s and ’30s are so valuable, that counterfeiters have figured out how to replicate the look of a French stone-lithography print using high-quality ink-jet printers. In the book, Hammett tells the story of how an auction house phoned him because they had received a call from the FBI, who believed his “Son of Frankenstein” window card was a phony. He had to send the card back to the auction house for forensic testing. 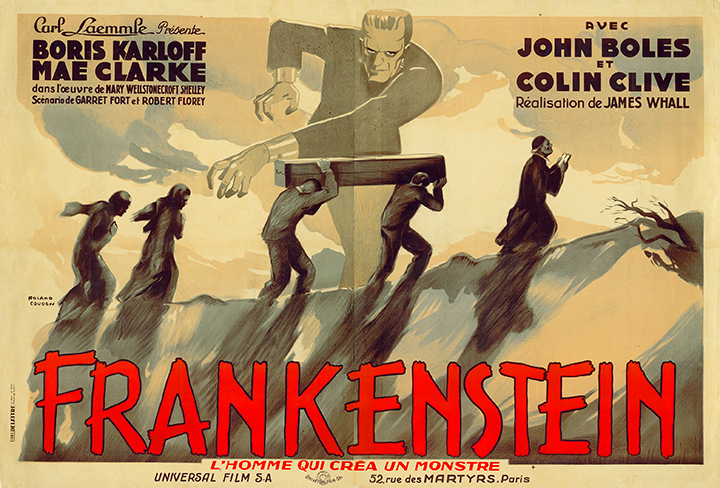 Looking for original posters from the 1930s often means reaching out to people who used to work for Universal during its monster heyday. Hammett has a collector friend who helps him with the buying and selling so he doesn’t get charged a “celebrity tax,” which means sellers often bump up prices when they know they’re dealing with famous people. Despite that, Hammett tells me he feels as though he’s finally found a place where he belongs. “The movie-posters collectors network is totally dysfunctional and insane,” Hammett says. “The craziest collectors and dealers that I’ve ever met are movie poster collectors and dealers. It’s like these dealers get gold fever. They find a poster that’s worth five figures, and all of a sudden, they act like they’ve found a bonanza. Well, they have found a bonanza, but it’s weird. I’ve seen people change once they’ve gotten a certain poster. I know some collectors are on their second or third mortgage because they need to raise income to buy more posters. I know people who are so ruthless and so cutthroat about movie posters, I bet you they would sell their own mother to get certain posters. Too Much Horror Business describes the story of this friend getting a message from a man in New Zealand, who had eight 1930s half-sheets—two variations for “The Bride of Frankenstein,” “Dracula’s Daughter,” “The Raven,” and “The Invisible Ray.” As it turns out, the guy discovered them while remodeling his home, which had once belonged to an employee of Universal Poster Exchange, the distribution center for movie prints and posters. He found them on the attic floor, being used as insulation. The book explains that before Dow Corning fiber was introduced, waste paper had been a popular insulation material. Another rare insert for “A Mask of Fu Manchu” was discovered under the carpet an old movie theater; the person who bought it spent $600 restoring it to remove soda stains and the like. 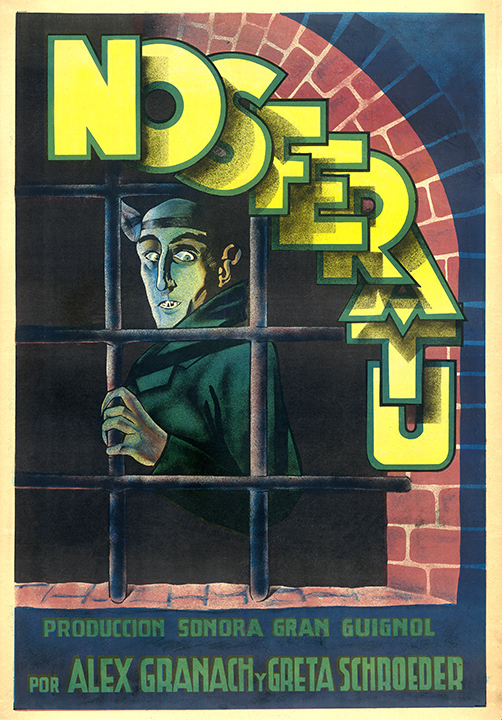 A particularly valuable poster in Hammett’s collection is for 1922’s “Nosferatu,” an unauthorized German adaptation of Bram Stoker’s 1897 novel, “Dracula.” Stoker’s widow took the movie company and director to court, which ruled in her favor and ordered the company to destroy all “Nosferatu” promotional materials. 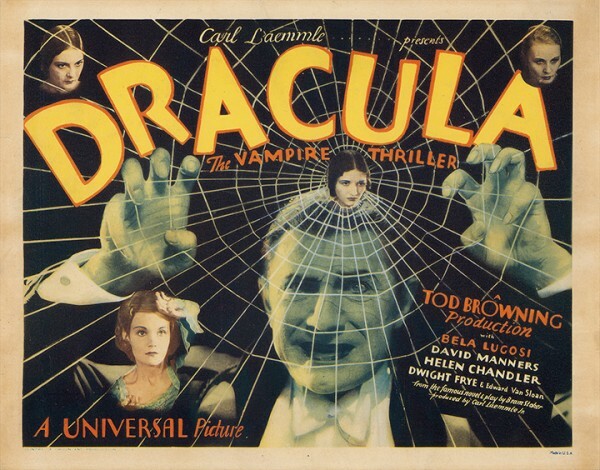 But “Nosferatu” one-sheet Hammett owns had been shipped to Spain before the court order. Only a handful are known to have survived. 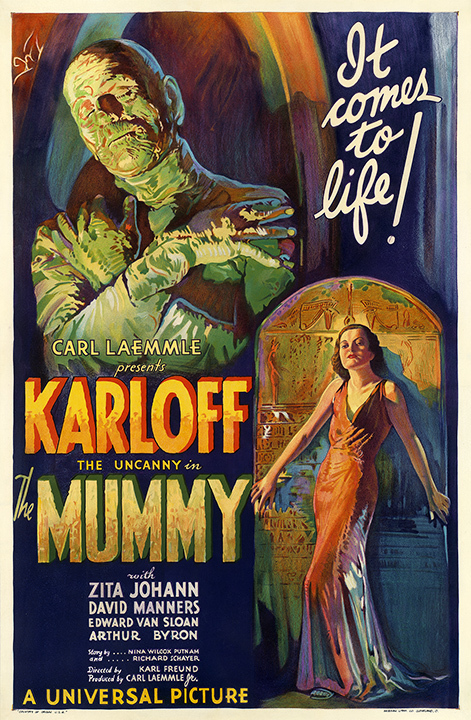 In the book, Hammett’s assistant recalls how, to score the only known copy of a 1932 one-sheet for “The Mummy,” he spent months and months working on the owner to give it up in exchange for a hefty sum and an exact replica. 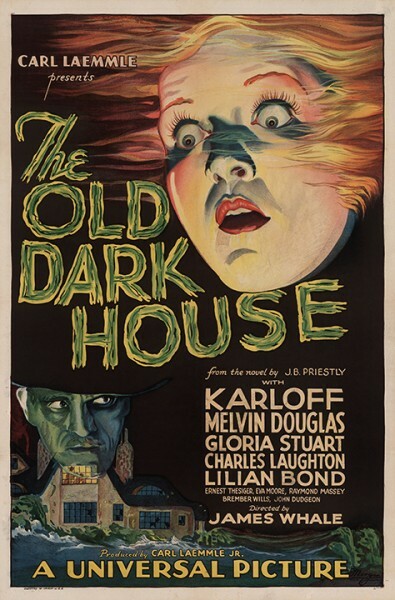 Unlike later reproductions, the original one-sheet has “It comes to life!” scrawled right next to Boris Karloff’s head. 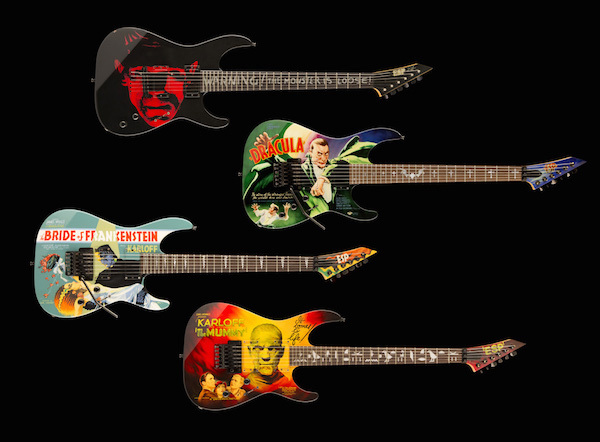 Onstage with Metallica, Hammett plays custom-made ESP guitars based on the original posters for “Frankenstein,” “Dracula,” and “The Bride of Frankenstein,” but the guitar inspired by this rare “Mummy” poster is most popular with his fans. When he’s not on tour with Metallica, Hammett lives in San Francisco with his wife, Lani, and two young sons, Angel Ray and Vincenzo. 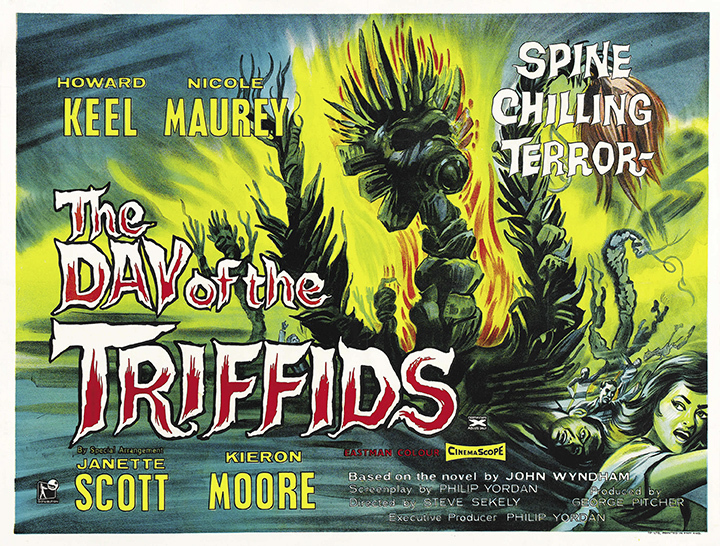 Hammett, of course, has introduced his kids to the joys of monster mania that he discovered that fateful day “The Day of the Triffids” came on TV. 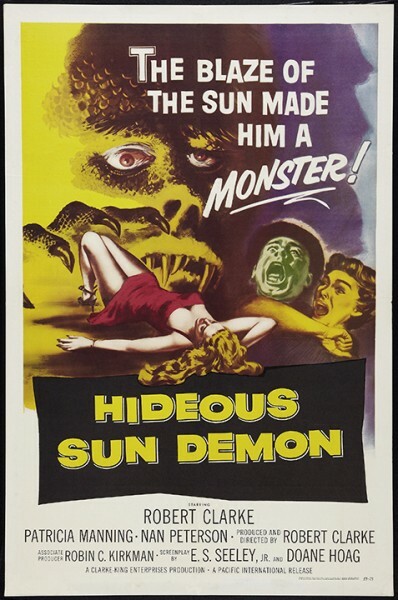 Of 1959's "Hideous Sun Demon," Hammett writes, "I love the concept of a man turning into a monster in the sunlight!" “ ” I'm a rich person, this is my property, and you’d better not take it.